In the background, there are some dmc balls that I picked together to make up my mind to start Tomoko Morimoto's doily. I'm still dithering. I should wait for available Lizbeth size 80 (colour 131) in Italy (it seems only size 20 and 40 are arrived up to my country) to finish Anne Orr's large centerpiece, so I need another distraction to fiddle with! I love learning new English words, it helps me to be as close as possible to what really I am like. Mother-tongue language is the flow of your thoughts, a second language is the attempt to be honestly you. But I love google translator! I had a comment in Vietnamese last week, I met a thai sweet lady and I chatted with a so kind polish friend, both in FB. A Korean follower has her own blog (http://2sunb.blog.me/) and I've become her follower. How could I've ever done any of this, without my dear trans-mixer? The translations are sometimes a bit puzzling, but you're right, they do enable us to communicate with one another. Where I'm living now, Afrikaans is the language most spoken. I learnt it at school, at a very rudimentary level, so know all about trying to communicate in a second language. I hugely admire you and others who write blogs in languages that are not their mother tongue. Your bookmark is beautiful. I love the thread as well as the shape, which is unusual. Thanks Jane, nice words, communicate is the right word, difficult even between people with the same language. Thread is dmc n.51 and dmc green n.3052, size 80. I have heard Google Translate called "Giggle Translate". I think we have all seen good examples for why. It is a wonderful time to be living. I would never have believed I would one day see tatting from all over the world and enjoy the knowledge and friendship of so many. I love your bookmark and am grateful you share your fun and talent with us! Thanks, it's so nice of you! You made me laugh with "giggle translate"! I haven't thought that! 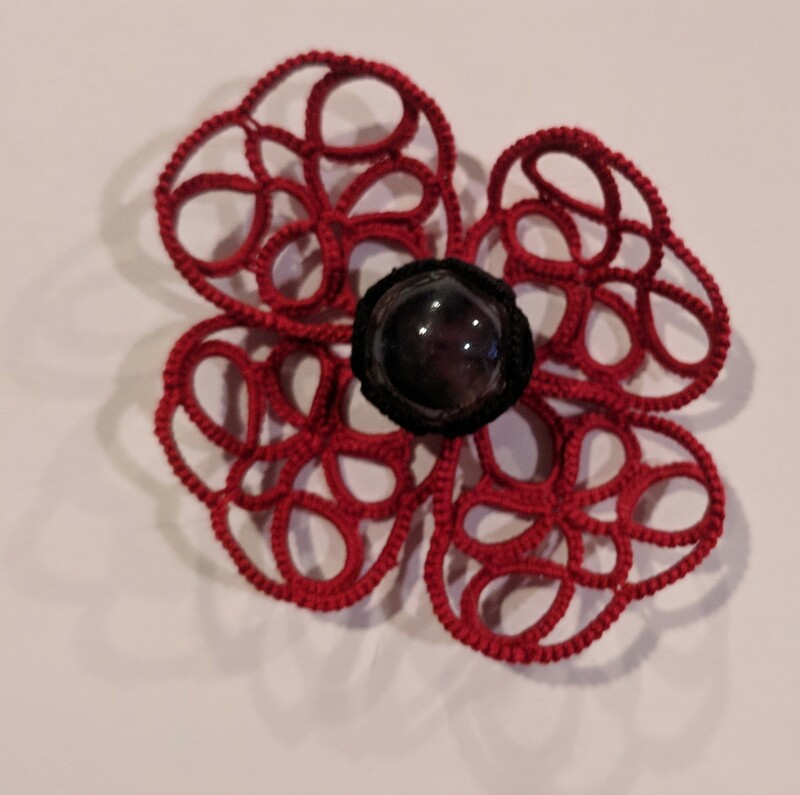 Sunbee Lee has been doing a terrific service to the Korean tatting community by acting as a bridge across languages ( even though she finds it v difficult to express herself in English . She does a great job but it is highly taxing). Google Translate does generally give us a big picture , but fails miserably in case of Korean-English transliteration, as per moi. And I don't mean idioms or other nuances. 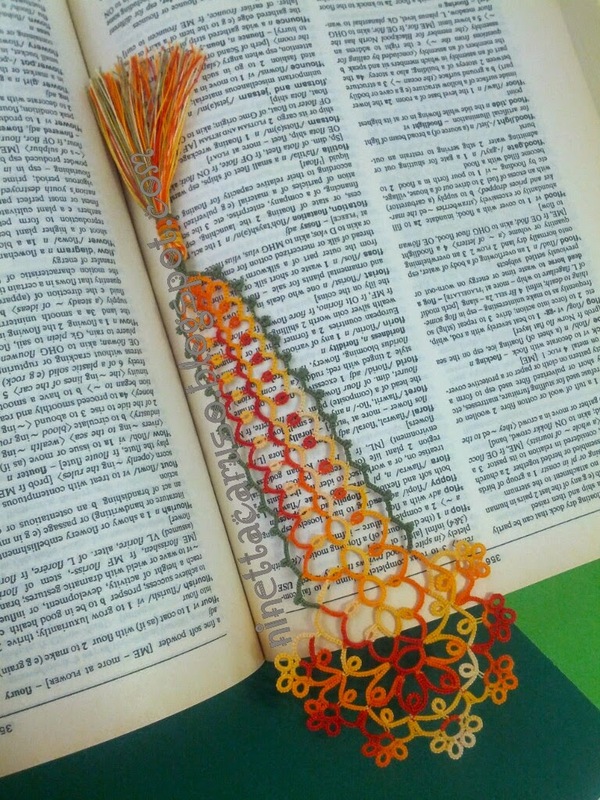 What a gorgeous bookmark and pattern, well done. :) thank you! Just as a side story: the word "dithering" didn't translate in Italian when I tried to !! Lol!